August 2015 – Tools for strategic and strong-minded thinkers! Strategic thinking competency is essential for assuring the long-term success. Its complement is operational thinking, which is thinking that is concerned with productivity, process, and error-free work. Although they are complements, there is often conflict as the short-term goals of production leave little room for new realities from the external world and for holistic, long-term, thinking. “High Reliability Organizations (HRO)”* are organizations that operate reliably. They have five characteristics: preoccupation with failure, reluctance to simplify operations, sensitivity to operations, commitment to resilience, and deference to expertise. I suggest that we adopt those five values as a way to open the door to strategic thinking. Preoccupation with failure. For a manufacturing plant manager, failure might be with a machine breaking down or a fire in a warehouse. For a sales manager, failure might be the loss of a client or sale. Like death, people often avoid discussing risk and failure in their discourse. The HRO culture recognizes that failure is both frequent, understandable, and often predictable. Often the margin between a near miss and an accident is small. Thus, a HRO is capable in risk management practices: it senses and responds to near misses and weak signals as opportunities for learning. Strategic thinkers enlarge the discussion to enterprise failure and nudge the timeline out from the day-to-day. History shows that disruption is frequent. Failure is more common than most people recognize. Strategic thinkers look for that simplicity on the far side of complexity. They do this by developing a nuanced understanding of the organization, especially the numerous interfaces with the external environment. HROs are willing to err on the complexity because small errors cascade and magnify into greater problems. Sensitivity to disorder. Economies and societies are densely interconnected and a small issue in one area can cascade and spiral into threats or opportunities elsewhere. Strategic thinkers don’t try to contain and rule disorder, because that often causes other problems to crop up, Whack-A-Mole style. Instead, ambiguity is seen as a field of weak signals that might present an opportunity or might be a signal of trouble. Commitment to resilience. A HRO knows that mistakes and the unexpected are inevitable. Conventional thinkers try to avoid making mistakes. HROs take it a step further, and make sure that they can absorb a setback, learn from it, and strengthen the organization. The similar concept for strategy is that of agility and adaptability. Strategic plans are bunk, and the idea of predictability is a tired, antiquated operational thinking concept. Instead, you need to take the small pockets of the future as signals for learning. You should work on reconfigurations that are flexible and adaptable. Deference to expertise. The question that drives reliability is, “Who has the best view of reality?” It is a more helpful question than “Who has the most experience with solutions?” This is a subtle-but-important point, as operational thinkers often confuse experience with expertise. Routine exposure to a system often leads to an intuitive feel for the system, but most system failures involve unexpected, novel failures. Further, those failures tend to occur at the interface with other systems. Catastrophic failures tend to occur through a chain-link series of failures. A HRO does not give the “say” to the most experienced person, because much experience is simply repetitive. Instead, it says that some people know more about the situation because they have detached from the situation to understand the essential principles in action. They have a more specific understanding of reality. Start with people who have expertise in their field. As those experts who they know and believe to have knowledge relevant to the situation. This is a wisdom-of-crowds approach, where you are selecting the wisdom of other experts. Look for the presence of diagnostic skills. Do they ask questions? Do they explicitly consider what they don’t know? Rather than “thinking outside the box,” do they have the courage to look deeply into different boxes? Can they emotionally detach from the problem? Can they imagine the perspective of a totally different stakeholder? We don’t want to eliminate operational thinking, we want to balance it with strategic thinking. Operational thinkers are necessary to the success of an organization, but are sometimes hostile to the playful imaginations of strategic thinkers. The idea of emphasizing High Reliability Organizations is consistent with their values: a perfect system is a reliable system. 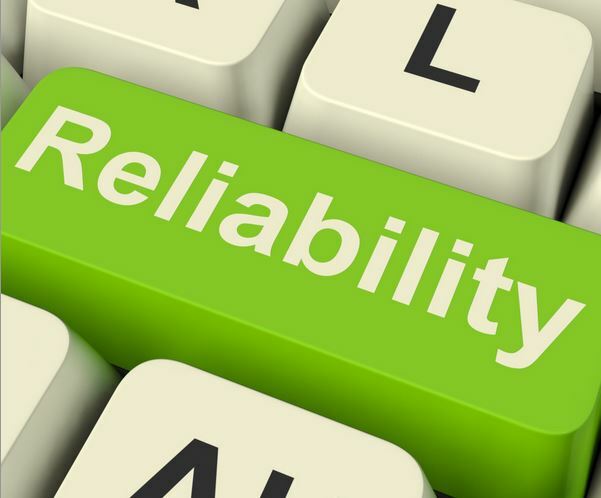 No operations person can be against reliability. Build a story that says that reliability is enhanced by failure proofing, resilience, expertise, reluctance to oversimplify, and sensitivity to disorder. Make that story a part of the conversations. The trick is to be subtle with the introduction of novel ideas; through repetition they will seem familiar and become part of the culture. What else do you recommend?